Will 2019 forever be known as the year of the great conversation heart shortage? If you haven’t heard all the hullabaloo yet about these classic candy sweethearts, get ready to hold onto your butts for this Valentine’s Day crisis, ’cause it’s about to get real. Like for real real, not for play play. Before I start a full-blown V-Day turned Purge, I should probably say, I’m KIDDING. 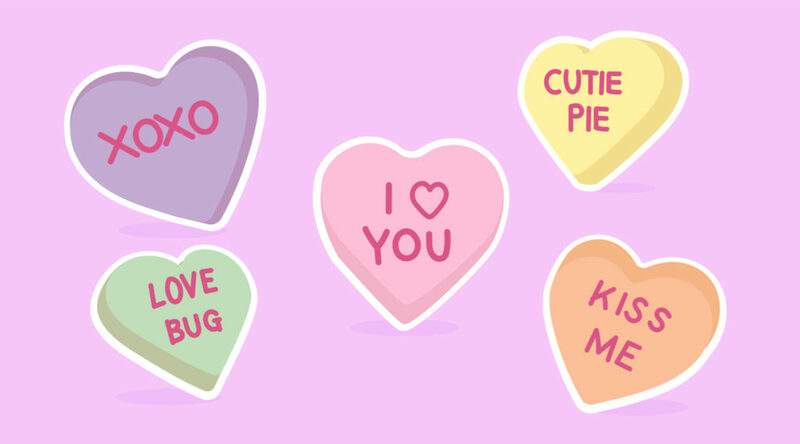 There will be more candy hearts in the future, but no longer from the New England Confectionery Company (NECCO). And none this year. Commence Purge. Whether it’s a treacherously long government shutdown or this current candy convo dilemma, I’ve been asking myself, “What in the world is happening,” a whole lot lately. In the words of that sweet child-woman, Ariana Grande, “Thank you, next,” is all I can keep saying to stay positive and get me through these hard times without going full blown 2007 Britney Spears. Which by the way, I relate to more and more these days and I’m not sure what that says about me. Anyways, I digress – but I’m not really too far off topic. See, NECCO basically had its own Britney moment in 2018, and rather abruptly sold their company to Round Hill Investments for $17.3 million. But how does America’s oldest continuously operating candy company just one day shut down? I guess, why does any big company fall apart? Generally financial difficulties, and NECCO was no exception, facing bankruptcy head-on. But then, not even two months in, Round Hill decided to sell the candy corporation to the Spangler Company in late September, last year. With less than six months left to prepare and create the famous Sweetheart candies, Spangler soon realized that they would be unable to consumer demands. Oh, and what a demand it is. How could such tiny hearts with a few simple words be in such high demand? I mean the ingredients haven’t even changed from when they were first concocted! But since the late 1800s, NECCO stole people’s hearts with more than taste – it was the fun sayings printed on the candy at their plant in Revere, Massachusetts that really made these legendary sweets stand out on the candy aisle. These chalky delicacies first came to the mind of pharmacist Oliver Chase, an Old England native born in July 1821 who had immigrated to New England — A.K.A Boston, Massachusetts — around 1847. His goal was to find a new and easier way to make lozenges during the lozenge craze…Wow – what a time to be alive. And because there was an exciting wave of innovative tools and gadgets, Chase built the first candy-making machine, which I can only imagine looked like a steampunk shrine of epic proportions. One thing led to another, and badda bing badda boom, he left his pharmacy business to make candy full time — the American dream in full effect, people. As Oliver’s business began making bank, his brother Daniel decided he wanted in on the family business. 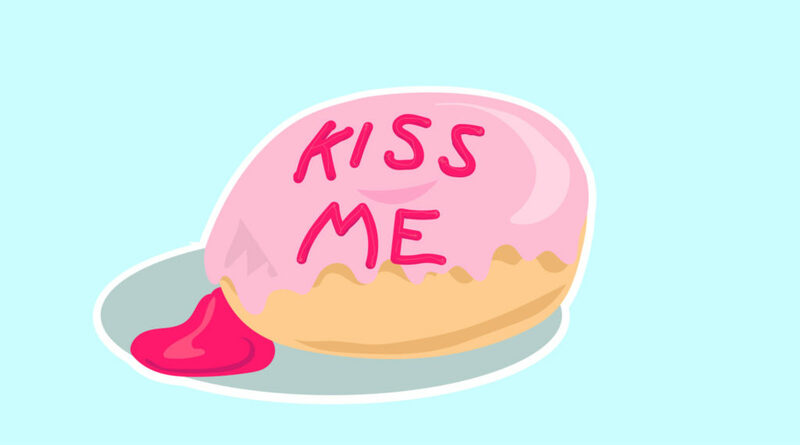 And during this time, Valentine’s Day cards were becoming a big hit which gave the bros the idea to see if they could write sentimental messages on their candy. In 1866, they found out it actually was possible! With the use of vegetable dye, they printed words on the little morsels during the cutting part of the process. 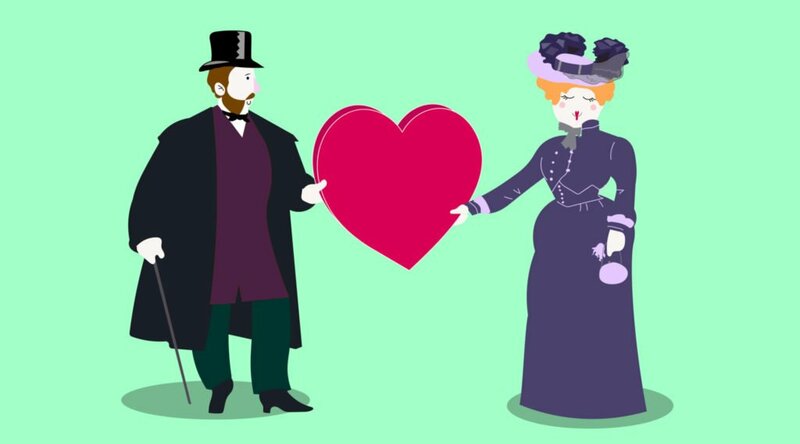 But it wasn’t until 1902 when the candies were actually fashioned into the iconic heart-shape that we all know and love. Back in the early 1900s, the candy convos used to be larger and be more eloquently worded like, “MARRIED IN WHITE YOU HAVE CHOSEN RIGHT” or “BACK DAT RAMPALLIAN UP” – ok, that last one I made up, but one can dream. From there the sentences got shorter and turned into ones like “BE MINE” or “KISS ME” and continued to update over the years. “TXT ME,” “TWEET,” and “#LOVE” are a few more recent ones that’ll keep you sounding young AF. Never forget the batch from the 90s that included, “FAX ME” – RIP if whoever reading this doesn’t know what a fax machine is. Some sayings have even changed meaning in light of today’s current events. 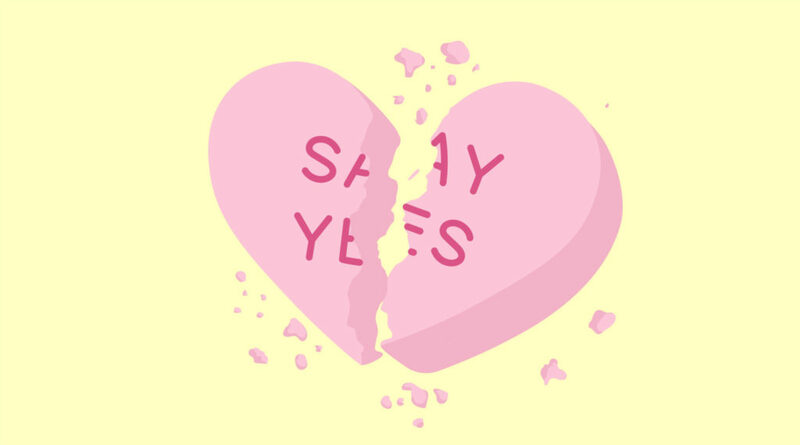 The “SAY YES” heart may have originally been in the context of saying yes to a marriage proposal, but when a #metoo movement is happening, you better hope that one doesn’t get misinterpreted. Maybe, with the current company switch they could think about changing it to “CONSENT IS HOT.” Too much? But, unlike their need to keep up with the current lingo, NECCO Sweethearts only tried changing up their traditional flavors once. A study done a couple of years ago discovered that children preferred bold flavors, yet apparently, it’s not the kids you should be worried about when selling candy. Baby boomers got vocal when banana, cherry, and wintergreen were thrown out and replaced with raspberry, lemon, and green apple. From Facebook to blog posts, the internet was disturbed by the change, and NECCO took the warnings so seriously they went back to the old ways. Baby Boomers really just can’t sometimes. It’s true, you won’t be seeing any “BE MINE” or “KISS ME” Sweethearts in stores this year during the Valentine’s Day season. So, how am I supposed to let the people I love know how I feel about them without vague candy hearts expressing my deepest non-committal affections? Besides the last year’s production of NECCO Sweethearts that you can buy on Amazon or eBay, there will be competing conversation heart companies, such as Brachs, that you can turn to during these desperate times. Even Krispy Kreme doughnuts are doing America a solid and helping the people out during this emergency. Krispy Kreme Conversation Doughnuts will be available January 30 – February 14 with more than a dozen phrases on these heart-shaped yummies such as “CRAZY 4 U,” “DM ME,” “ALL THE FEELS,” and, “PICK ME!” as well as using the flavors of Cake Batter, Strawberries & Kreme, Raspberry Filled, and Chocolate Kreme Filled. See ya next year little guys!